Georgia Bone & Joint / Our Staff / Meet Our Doctors / George M. Ballantyne, M.D. Dr. George Ballantyne graduated Phi Beta Kappa from Washington and Lee University, where he was voted Academic All-American in football. He received his medical degree and completed his general surgery internship and orthopedic residency at The University of Texas Medical Branch in Galveston, Texas. 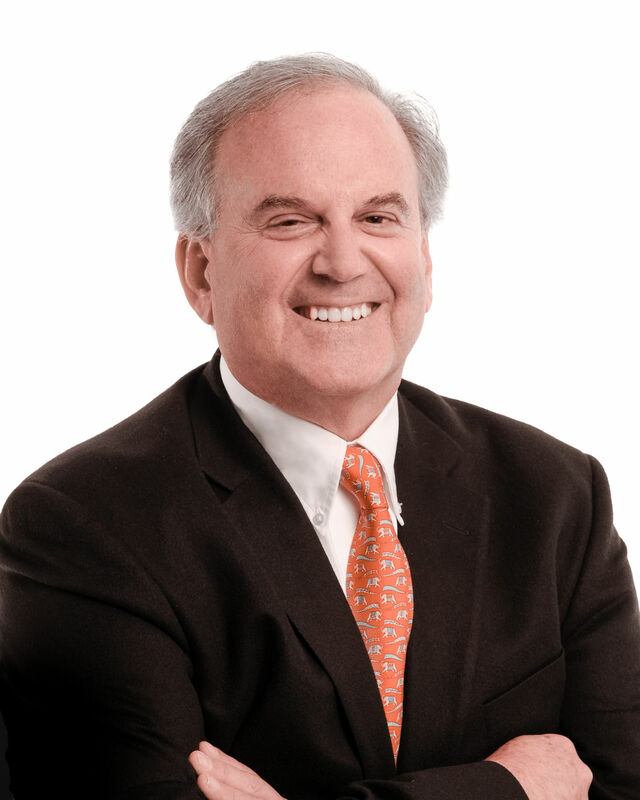 Dr. Ballantyne has a special interest in joint surgery and performed six months of extensive study at Emory University. Dr. Ballantyne is a member of the Georgia Orthopaedic Society, Atlanta Orthopaedic Society, Medical Association of Georgia, American Orthopaedic Foot and Ankle Society, and the Southern Orthopaedic Society. He is a fellow of the American College of Surgeons and of the American Academy of Orthopaedic Surgeons. Dr. Ballantyne comes from a family of well-known doctors. His father, Dr. Alando J. Ballantyne, was the first resident at MD Anderson Hospital in Houston, Texas, and his medical career is now honored by the Alando J. Ballantyne Distinguished Chair in Head and Neck Surgery at The University of Texas MD Anderson Cancer Center. Dr. Ballantyne is on staff at Piedmont Newnan Hospital, Piedmont Fayette Hospital, Cancer Treatment Centers of America in Newnan, and has served as both chief of staff and chief of surgery at Newnan Hospital. He chose orthopedic medicine as a way to continue his association with sports and especially enjoys working with local athletes and providing coverage at all the area high school games. Dr. Ballantyne and his wife, Missy, have lived in Newnan since 1988. They have four children and three grandchildren. Dr. Ballantyne enjoys gardening, golf, traveling, but most of all, visiting his grandchildren.
" Exceptional " - James K.
" vI have had occasion to use the services of Georgia Bone & Joint on two occasions and found Dr. Ballantyne to be just what I needed on both occasions. The staff has always been most courteous and very helpful. " - David S.
" Dr. Ballantyne is one of the best doctors I have ever seen doing treatment for broken bones. If I ever have a broken bone or any other treatments I may need for my bones, he would be the one I would definitely pick and keep. " - Mary H.
" Excellent professional friendly. " - Peggy R.
" My experience was pleasant in the office. The doctor was informative and did my surgery well. " - Mary T.
" I have had several surgeries performed by Dr. Ballantyne and I was very pleased with all experiences. " - Dianne B.
" This was the 3rd operation that Dr. Ballantyne has performed for me. Two previous from accident injuries and this one for a total hip replacement. Although I was concerned about having a hip replacement using Dr. Ballantyne's preferred posterior technique, he was quick to respond to my concerns and was very professional in explaining why he felt that the posterior would be the better choice for me. At the same time, he made it clear that if I wanted to use the anterior approach, he would have no problem transferring my scheduled operation to another physician that would do the anterior. I totally trust Dr. Ballantyne and know he would only have my best interest at heart. I decided to proceed with the posterior, and although I suspect that the first few weeks of recovery have been more difficult than I would have had with the anterior, I do feel that in the long run I will benefit. Considering the thousands of hip replacements that Dr. Ballantyne has done, I rest assured that one of the best can add me to his list of successful surgeries. " - J. T.
" Double knee replacement surgery, very happy with progress. Believe recovery is going well. It will be 4 weeks this coming Tuesday. Never used a cane and stop using walker after week 2. Physical Therapy going well and daily progress evident. " - Raymond S.